The Al-Arabiya news channel quoted unnamed sources as saying that well-known billionaire investor Prince Alwaleed bin Talal was among those who have been detained in connection with newly-opened corruption probes. 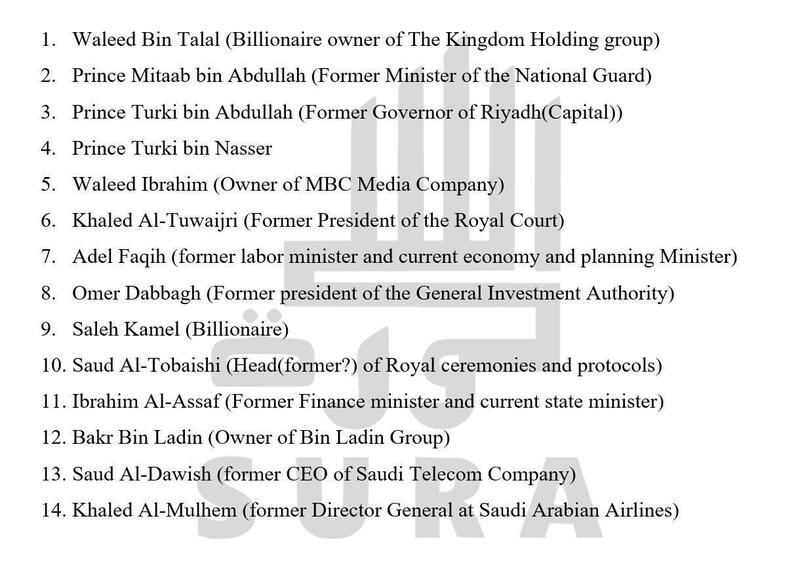 Bin Talal is a prominent investor in US companies including Twitter. Adel Faqih, the current economy and planning minister, is also among those arrested. He is known as the mastermind of the Vision 2030 plan widely advertised by the ruling officials. The arrests were made based on a decision by Saudi Arabia’s anti-corruption committee, which was recently established by King Salman bin Abdulaziz Al Saud. Crown Prince Mohammed bin Salman was later appointed by the King as the head of the anti-corruption committee. The post 11 Saudi Princes, Including Bin Talal, Arrested for Corruption appeared first on IFP News.